Last year, it was his stomach. And, of course, there's always the heat. Running for more than 50 hours in scorching temperatures wasn't enough -- David Harper of Clermont decided to run the 135 miles again this year. Despite the threat of sleep deprivation that can cause some runners to hallucinate. Despite the blisters that can get so bad the entire foot pad separates. And despite the heat that can melt shoes. When Harper arrived in Death Valley on July 24, the temperature was 124 degrees -- more than a couple dozen degrees higher than it was in Lake County. The asphalt was more than 150 degrees. "It's funny how our minds forget the bad, and remember all the good of these events," Harper said. 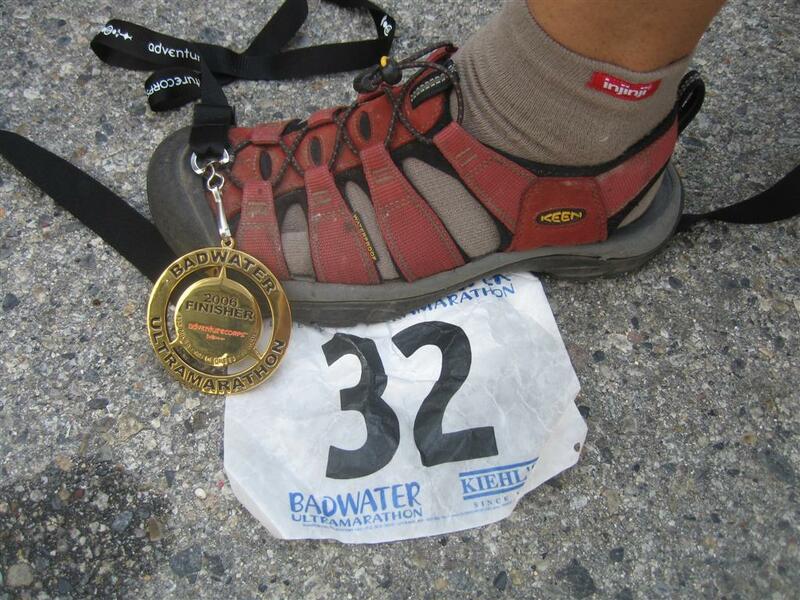 The event, Kiehl's Badwater Ultramarathon, is a California trek that begins in Death Valley, the lowest elevation in the Western Hemisphere at 282 feet below sea level. The race finishes at 8,360 feet, covering three mountain ranges for a total of 13,000 feet of vertical ascent and 4,700 feet of descent. The race ends at the trail head to the Mount Whitney summit, the highest point in the contiguous United States. Runners must finish the event, dubbed the world's toughest footrace, in no more than 60 hours. If they want a T-shirt, that is. To get a belt buckle, they finish in 48 hours. Harper had his eye on the buckle this year. His plan: Don't overheat, don't get nauseous, get plenty of salt and fluids, don't run too hard, but don't rest too much either. Last year, things got tough at mile 42, when the wind turned into a "blast furnace," and Harper agonized through the heat, vomiting and stomach cramps. He avoided those problems his second time around, but new ones arose. "Badwater has a way of forcing all of us to change our plans and our goals in the middle of the race," Harper said. Although last year Harper's feet held up well, by 40 miles into this year's race the humidity had set in, and then blisters, deep beneath already calloused skin. "Due to the high humidity, my feet had been soaking wet for hours, and had gone completely soft and started to blister," Harper said. "Just as we were beginning the 13-mile climb over Townes Pass out of Death Valley. Blisters with 95 miles still to run is not a good thing." "At 80 miles into the race, when my tolerance for the pain and my weakening condition was putting a finish in jeopardy, we had to completely change our strategy and improvise a completely new one," he said. "But persevere we did." Harper continually stopped and retaped his feet, changed shoes, changed socks, tried double socks, cut up his shoes to try to provide relief, cut the insoles of the shoes, cut holes in them where blisters were, and even used superglue to hold things in place in the shoes. "It seemed an endless process of trying something, getting on the road for 100 yards, stopping to change that and try something else," he said. Eventually, one of his crew members suggested he wear sandals, the ones Harper usually wears after a race. They have a roomy toebox, and the bottom has a deep dish area that helps relieve his feet. "Immediately, I felt the difference," Harper said. "I still felt my blisters, and they didn't feel good, but they weren't really painful, at least not compared to what I had been going though." Thanks in part to the sandals, Harper was able to increase his pace and placed 57 out of 85 runners. 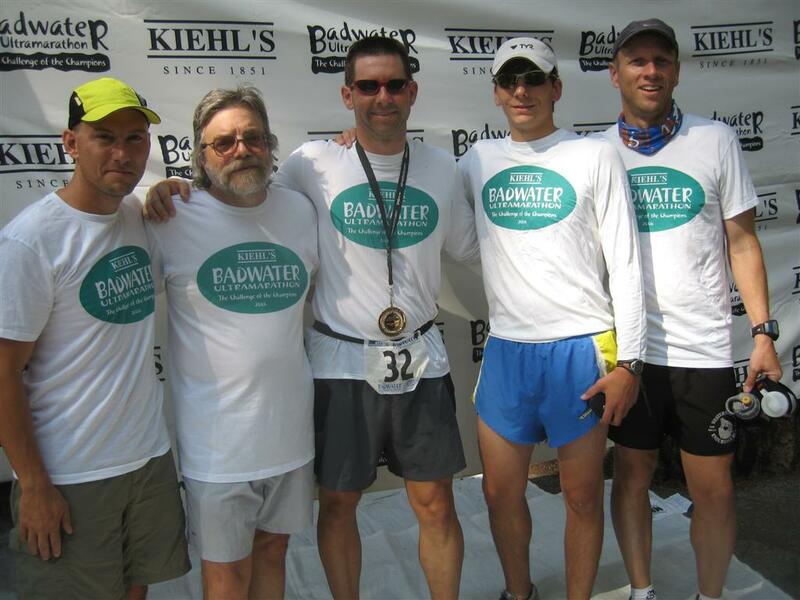 It was January this year when Harper, who lives on Sugarloaf Mountain northeast of Clermont with his wife and three children, decided he would give Badwater another try. "The logic was, and I still believe this, I know I can go so much faster there," Harper said. "In neither of my races have I been able to truly use my ability to get to the finish as fast as possible. Both times I have been hampered with problems: last year, nutrition and electrolyte imbalances that shut my body down, and this year, blisters that had me moving at a crawl." But that's the challenge of performing in such a harsh and unforgiving environment, Harper said. "It's frustrating to know that I can go faster than my results show, but it's also very satisfying to know that I overcame the obstacles and was able to complete Badwater two years in a row." Not many people have done that. "More people have climbed Mount Everest than have completed Badwater," Harper said. Harper also hopes to become one of the few to complete what is known as the Death Valley Cup -- running Badwater, and then bicycling the Furnace Creek 508, a 500-plus-mile bike ride in October. 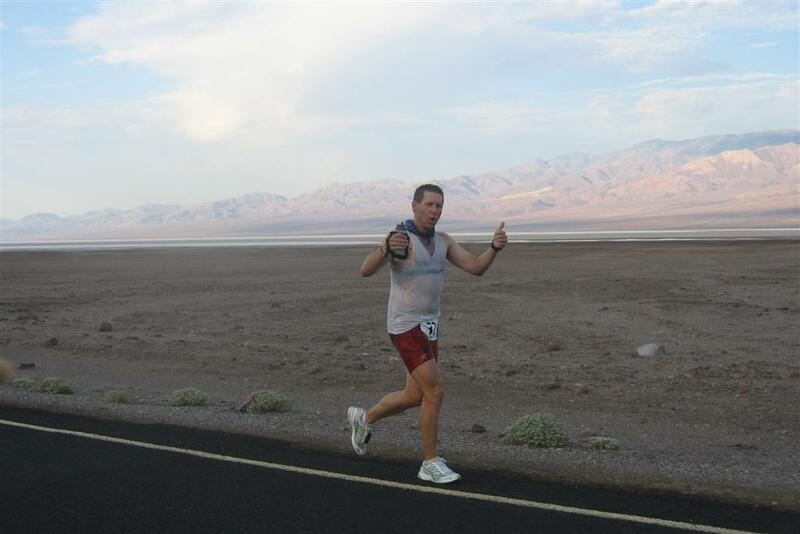 The course has a total elevation gain of more than 35,000 feet, crosses 10 mountain passes, and stretches from just north of Los Angeles, across the Mojave Desert, through Death Valley to Twenty Nine Palms, Calif.
Harper said he's done taking on the Death Valley run called the Badwater 135. "I have done it twice, and given it my best and completed it both times, and that's it," he said. But, "I also know, and my wife, Tamara, knows even better, never say never."